Surfing the internet with a mobile device is the norm nowadays and knowing how to make a responsive website is become more and more important. It’s tough enough to get a visitor to your site, so having them leave because your website didn’t look very user friendly on a mobile device is a really big problem. 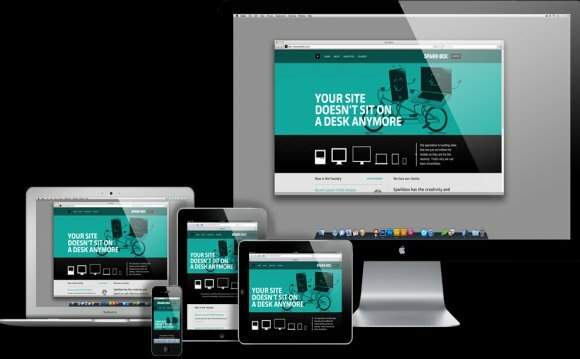 So knowing how to create a responsive website is actually quite critical to your success. In simple, non-techie terms, a is a website that detects what your visitor is using (a smartphone, a tablet, or a desktop computer), and automatically adjusts the layout of your website to conform to the size of the device that’s being used. So if you try to jam how a website looks on a larger screen (such as your laptop or desktop) into a tiny mobile phone screen, it makes it really challenging for your visitor to surf around your website. Sarcasm aside, making your website content easy to read on a tiny screen is absolutely critical to retaining your visitor on your website nowadays. Very simplistically, what a mobile responsive website will do, is automatically re-arrange your content and menu bar so that they fit very well into a smaller screen. The menu bar is usually shrunk into a tab so it’s accessible when you tap on the menu bar button, versus a non-mobile responsive website where all your menu items are shrunk to the size of ants where it’s virtually impossible to see unless you have a magnifying glass. The different content sections of your site is re-arranged into a vertical column so again, your content / text are not shrunk to sizes comparable to sand (okay, so a bit of exaggeration here, but you get the point). Imagine if you had 3 columns with images and text, and try to jam that into a tiny mobile phone screen, it’ll be pretty tough to read. So what a mobile responsive website will automatically do, is re-arrange the 3 columns into a vertical column, as the content / text size are at least legible on a smaller screen. This will significantly improves your visitors’ user experiences. How To Make A Responsive Website with a Responsive Website Builder? If you’re a code guru, you can code up a template that is mobile responsive. But 99.9% of earth is not code gurus, so don’t be so hard on yourself. Their tools are very easy to use – literally drag and drop your content into a website and you can publish your own responsive website. When you sign up to use one of these website builders, they give you all the tools to add content into your website, and they host the website for you, meaning that your website can exist on the internet. Sounds too easy right? It sort of is. Technology has made it really easy to build websites nowadays. I mean look at Facebook. They’re connecting hundreds of millions of people around the world. So it’s not surprising that there are tools out there to help you build websites without you touching any codes. There are a couple of good responsive website builders that you can check out. Both of them include free trial periods so you’re not obligated to pay any of them at all to use their tools. You only need to subscribe to their plans if you are happy that they’re actually helpful for you. is probably the best responsive website builder in the market today. They enable non-technical users to build beautiful, professional looking websites as . They focus so much on design that can make your visitors feel that you’ve had the website custom built for thousands for dollars (but you’re actually paying much MUCH less – here is more details about Squarespace’s pricing plans).